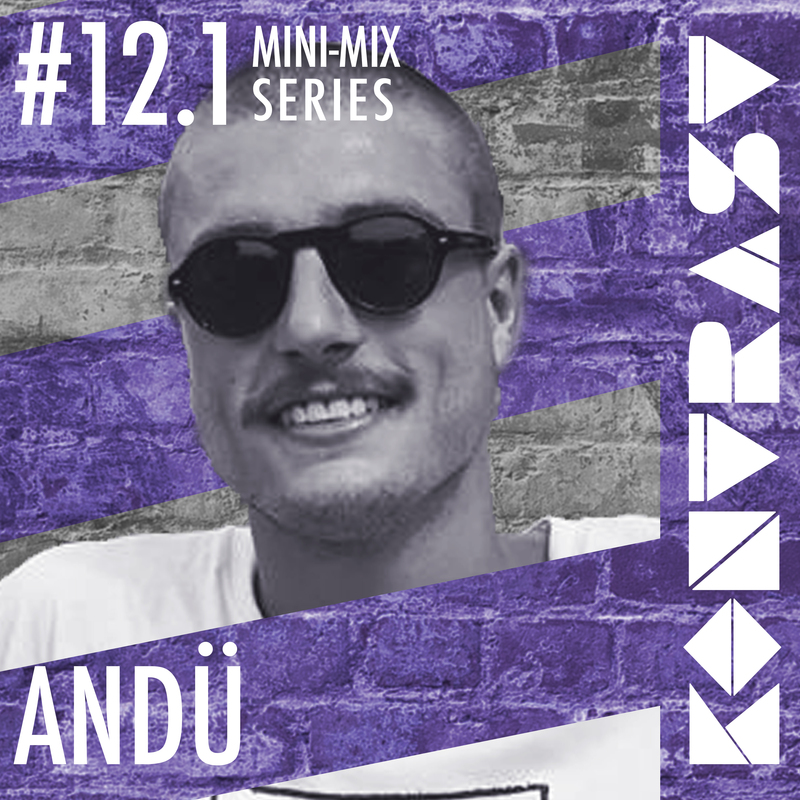 Emerging from the Melbourne techno scene, DJ and producer Andü devotes his passions to sourcing and creating acidic hypnotism to absorb the audience into an unforgettable aural experience. His talent began only shared amongst close friends and acquaintances. However, it didn’t take long for his appetite for music to be heard by a greater scope of likeminded artists. His avidity to share sounds led to running charity events such as ‘Keep Afloat’, to not only celebrate young emerging artists like himself but also to raise funds and awareness for BeyondBlue in recognition of mental illness. The accrued experience both on and off stage, is not only evident in the quality of music selected by Andü but in the techniques he exercises to traverse exhilarating sounds. Tell us about how you see the current climate of sexualisation in the dance music industry. Where once it was all stinky guys, dressed pretty badly in the corner, now not so much. Currently I think sexualisation is taking a more even stand point in the dance music industry recently and the idea that a club is a free space for people of all genders and sexualities to express themselves freely is becoming much more of a norm that is understood more widely. Recently the protests overseas in Georgia were a great example of this! Just here in Melbourne week in week out there are great parties happening around the city which are run by a mixture of genders with lineups to match which is great to see for the industry along with wicked EP’s coming out from all over Australia from awesome ladies make some great club music. Of course with some of the bigger events there are still some male dominated lineups going around, however knowing that there is intent to keep the playing field level is great to see! Vinyl vs Digital. Why or why not? Should there be a reason to even care? For me I prefer to play almost all records, not because I’m a purist that doesn’t like CDJ’ – I still do play the odd mp3 – but it’s just the way it naturally began happening for me. I found that I would in the past be downloading a crazy amount of songs and not really fully listening to each track or their actual release, and once I was done with that track it would just get lost in a thousand long list of songs on my laptop. Once I began buying records I felt a bit more of a sentimental value from the hard copy format as memories were made with the record and I would find myself digging through older records I hadn’t played in a while and almost re-living the joys from that record which I found was something I didn’t quite get from a digital copy. Although there is obviously no right or wrong way to play music each person might find greater pros and cons from either side. As long as the music is shared and enjoyed I’m sure thats all that matters when people are dancing! You’ve been running charities to raise awareness around mental illness, how have you seen this illness affect the people in the music industry? Yes, in the past myself and few friends got together and ran a party to raise funds for Beyond Blue and reduce the stigma that is around mental illness. To be honest within the close knit music industry that I know of I have not first hand seen of the effects of mental illness all though I doubt that it does not exist not only within touring artists, promoters and managers but also within the everyday punter. Mental illness is widely not freely spoken about which doesn’t help the situation and just ads to the issue itself. I feel the more it is spoken about and recognised the better the outcomes will be. I would love to run more of these kinds of events in the future!